In terms of pod-style coffee makers, nothing beats Nepresso. 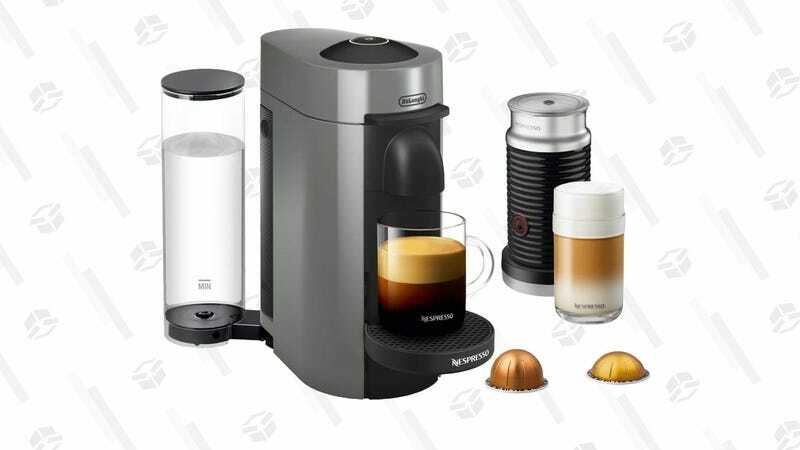 This Nepresso VertuoPlus makes espresso and coffee drinks, and only takes up a small amount space, making it perfect for smaller kitchens and dorm rooms. $130 gets you the machine with a 40 oz swivel-out water tank, some complimentary pods to try, and a bonus milk frother. The bundle typically sells for $170 or more, so this is an eye-opening deal. Note: Amazon had this for $120 earlier over the weekend, but $130 is still a great deal.